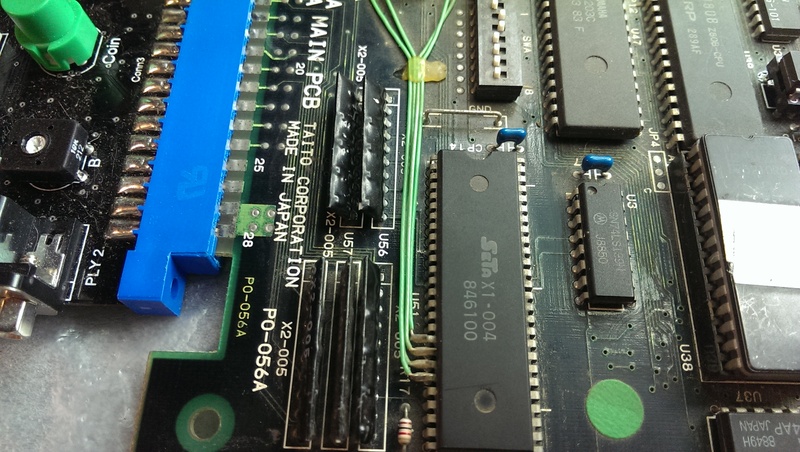 Another one of muddymusic’s PCB’s. Everything looks fine with this one until it is coined up then the game starts automatically. 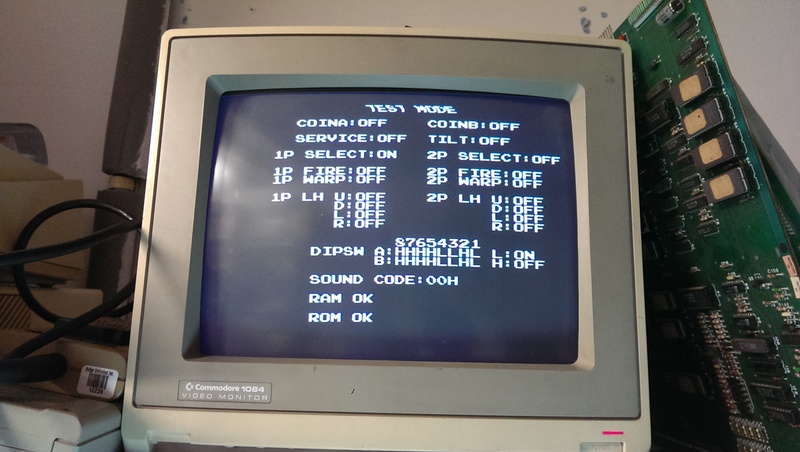 If I enabled test mode by switching switch 3 on DSWA then I could see the start button for Player 1 was stuck on. I initially thought this was going to be a sticking point as all the inputs go to a custom chip however I found that the trace from the pull up resistor array to the custom was broken somewhere. There were no visible breaks so it must be under the silkscreen somewhere. 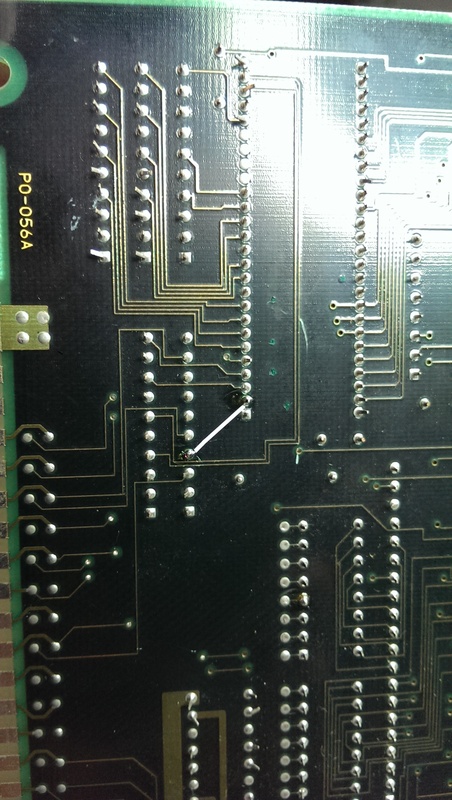 Running a patch wire from pin 2 of the custom chip to the resistor array fixed the issue. Quite a fun game it is too.